Google is interested in buying Snapchat and is ready to pay $ 30 billion for getting all the rights to an ultra-popular project. And the offer price is official. This is unrealistically a big waste even from the point of view of such giant as Google, but the possible result of the purchase can compensate everything for them. Google intends to raise its position in the field of digital advertising to an extreme height. The figures for the first quarter of 2017 indicate that Google has staked out almost half of all digital advertising in the US. Access to the colossal database of Snapchat users will surely consolidate the positions of the industry leader. As you remember, users of the target service are almost completely informed in modern trends. Annual Snapchat revenue from advertising today is almost $ 400 million. Note that Google is determined to solve the issue in its favor categorically. 30 billion is a number much higher than the real cost of the service, which is currently estimated at about $ 15 million. Why should Google overpay twice and still make this deal? There are a number of reasons, so let`s make a brief review of the situation. Social networks are still a weak point of Google. 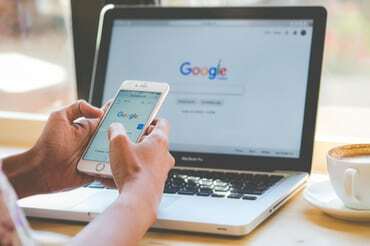 Google`s Buzz had serious problems with the privacy settings, and its follower Google Plus was never able to catch up with the giants of this niche. So this is a reasonable move to buy tens of millions of users instead of wasting time and money to create the similar user base as a resulting point. And the emergence of a popular social network among Google services will favorably affect the entire system as a whole of course. Snapchat gets much more innovations and prospects, but Google also has something to profit from. For example, they obviously will be interested in Zenly social mapping company, along with partnership with Factual In the context of advertising development. Services are beginning to work towards the release of exclusive video projects. It`s about the original shows and serials, which are being developed at the moment, taking into account the capitals of both companies. Even some other large companies are involved in this process now. As a result of the combined efforts, we can expect a more impressive effect from these undertakings. A highlight in the Snapchat’s deck of trumps in this case is a functional tool of live search powered by Snap’s Stories that can be integrated into some Google projects. The use of Stories in Search makes it possible to visually assess the scale of demand of a particular business (or event). And another idea that clearly visited the minds of Google developers: why not link Snap History with Youtube mobile app? So, Youtube will gradually move away from 100% of the video service label to the label of the social platform. And people will stay longer here, which also goes into a plus. The advantages of joining one major brand of the information world to another are obvious. Let`s now draw a line to this event with a small conclusion. The world of social networks is still growing from year to year. Today almost 3 billion people use social networks and this figure is confidently moving to the point where social networks will be used by every second person on Earth. At the same time, the ways people interact with popular social platforms are very different. What if in the future all major social networks will be connected with each other at least on partnership grounds, taking in each other`s best features? This is a utopia, which may well become a reality: the potential connection of Google and Snapchat is a great example and a guiding star for starting a global process, as we can see. But let`s wait, whether a fateful deal will take place and how Snapchat will develop further.